That's my smb Z a few months back. 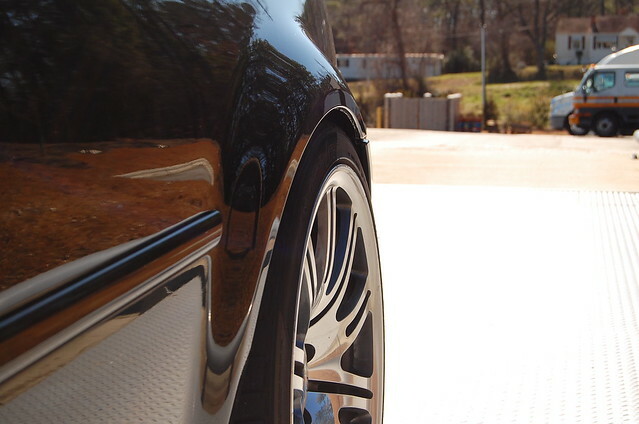 It was lowered on hks coils and had 31mm spacers. Brembos are factory cuz its a grand touring. "stockish" lol. 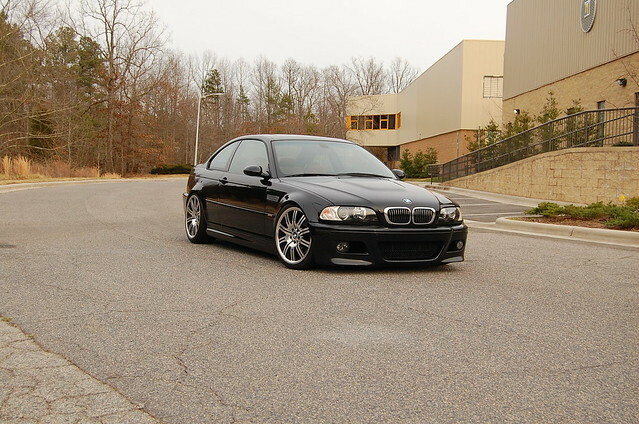 At any rate the m3 is looking good with the height and stock wheels. Pretty much the same form as my Z before I put on body mods. 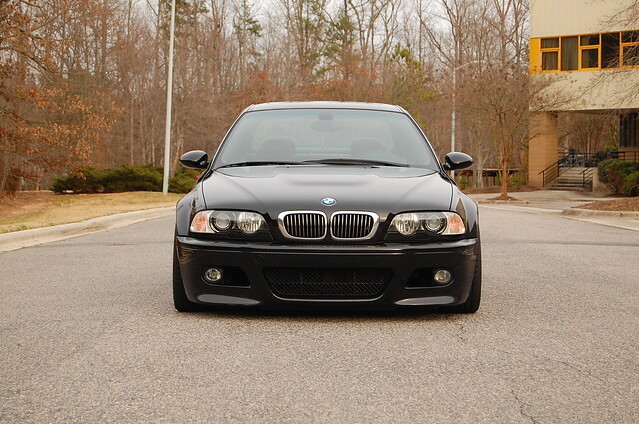 I'm not familiar with the e46 m3 BC Racing kit but the front camber plates likely have an extra set of holes. I drew some arrows on your picture showing what to do. Simply jack one corner up and loosen all allen bolts a bit. With them now loosened, remove both allen bolts on the right side of the plate and loosely screw them in the hole set to the left. 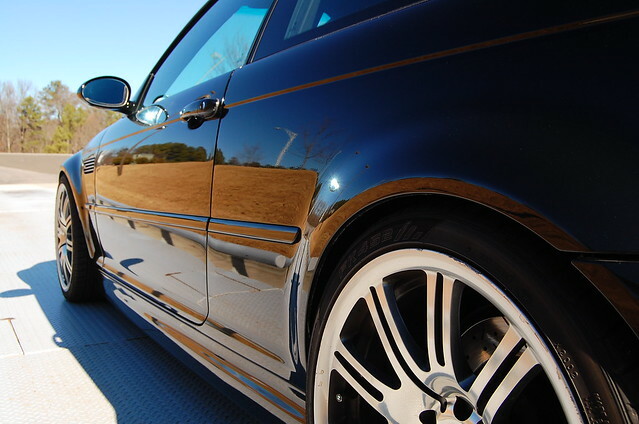 Now slide the plate away from the center of the car to remove some of the negative camber. With the strut slid over it should now expose the other two bolt holes. Move the allen bolts on the left side to these now visible holes and secure each bolt. Last edited by dan avoN7; 01-23-2012 at 11:21 AM. 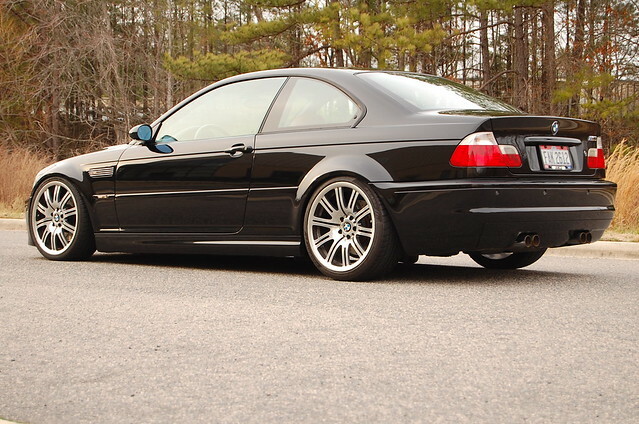 god i want to pick up an e46 m3 so bad! 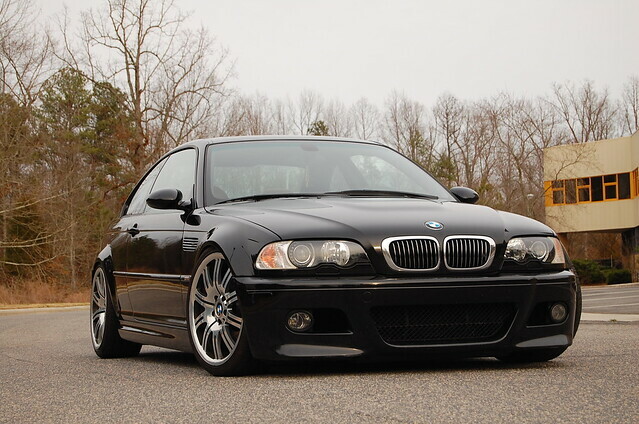 on the rocks about these or a 335i as a daily, but i want a car im not going to mod lmao! Don Avon7 - thanks for the picture, that helped a lot! UPDATE: Raised the car a good amount. Couldnt stand the rubbing and i'd rather be flush and lowered than slammed and tucked. 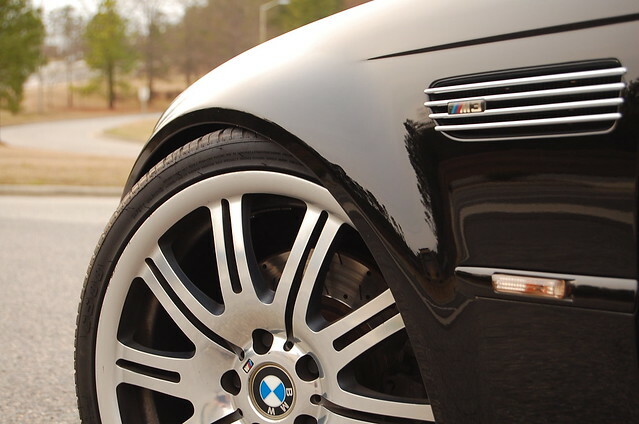 Once i get wider and more aggressive wheels i'd be able to work some magic and slam the car. For now i'll stay conservative. even at this raised height i still rub occasionally. Fenders are cut but the rubbing seems to be coming from where the rear bumper connects to the fenders :/ Ride seems to be a lot smoother after i changed the dampening. It was close to full stiff before, now its 8clicks from soft and is much better. 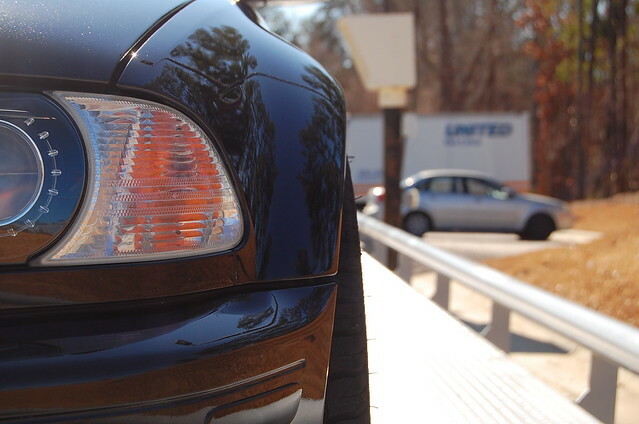 Still get clunking from the driver side rear, but i think i had that even with the S-techs. Now its just louder. Great lookin car man! Where in Durham ya live? Im right in the Brier Creek area! 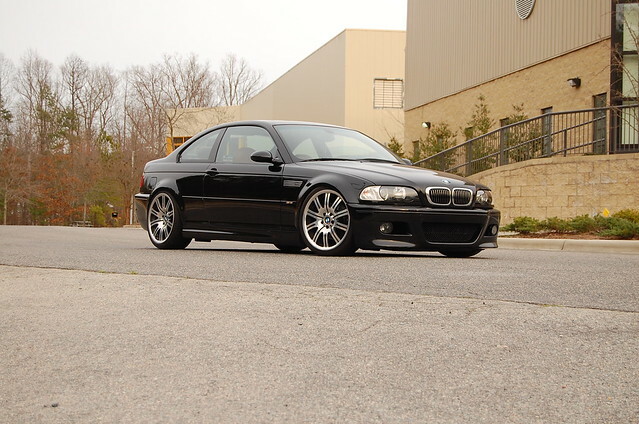 You will either see me in the Z or the lady in her E36 M! Last edited by Toby-22; 02-18-2012 at 02:22 PM. ^ Must have smooth roads down there. prob nicest ride in durham toby. Looks good, nice subtle touch. 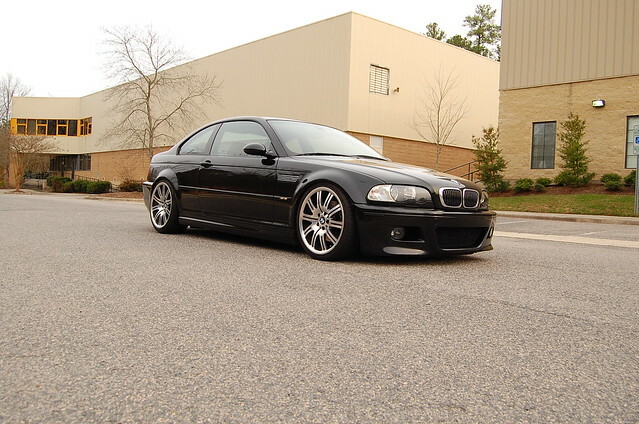 looking good toby damn and you changed wheels, cant wait to you just say f it and go in. Imagine how dope those wheels would look in SBC. Amazing the difference the wheel swap makes. Got me thinking dirty thoughts about selling the Z and picking up one of these. 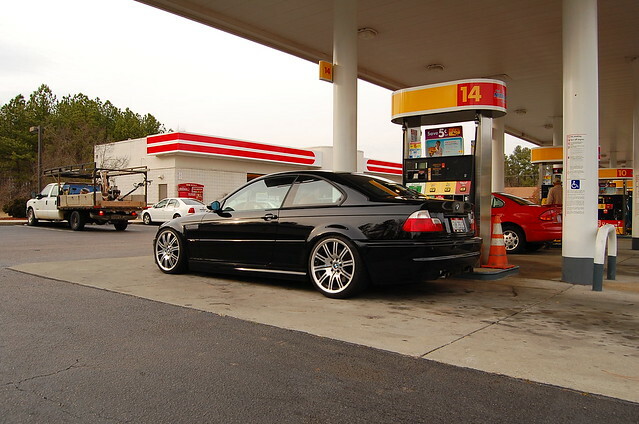 duck tail of the CSL version and u win!